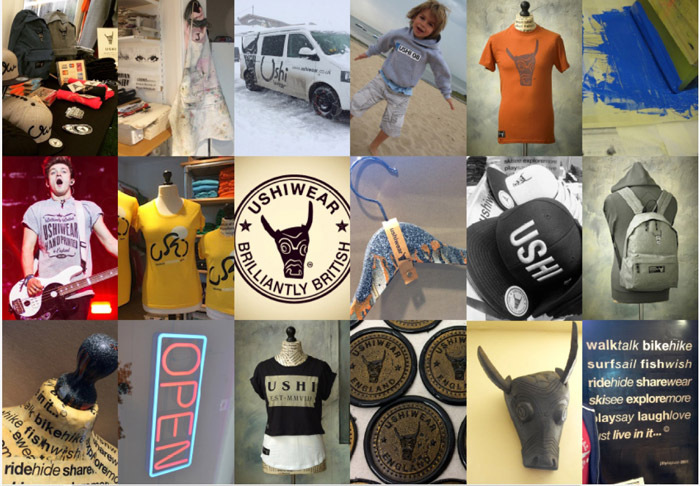 How did you come up with the name Ushiwear? Were you excited when it hit you? Well my surname – Kapusi is pronounced Kap-ushi. 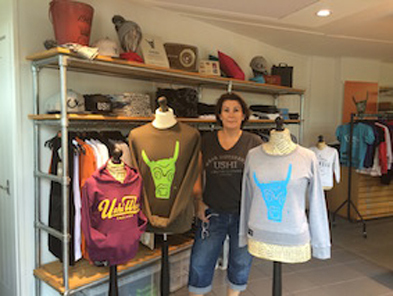 With a close friend and after playing around with lots of names for the brand we came up with Ushi. In 2009 we found out it meant Ox in Japanese, so the bulls head idea for our logo was born. Then later whilst visiting ‘Grand Designs Show’ in London we found an ancient relic which was a Shamans headdress, this was the missing link and suddenly the look of for the brand all feel into place. It was a very emotional moment and it meant even more when we found out it was year of the Ox in 2009 when we bought the headdress. All very much meant to be as my birth sign in Taurus the bull. When did you know you wanted to be a designer? I have always been creative and have enjoyed drawing and making things all my life. When I was in junior school an art teacher of mine recommend I went to Art College and from that moment I never looked back! My path was set. What was your first step toward getting into the fashion industry? Entering the fashion industry was never something I planned to get into, it just happened by accident. 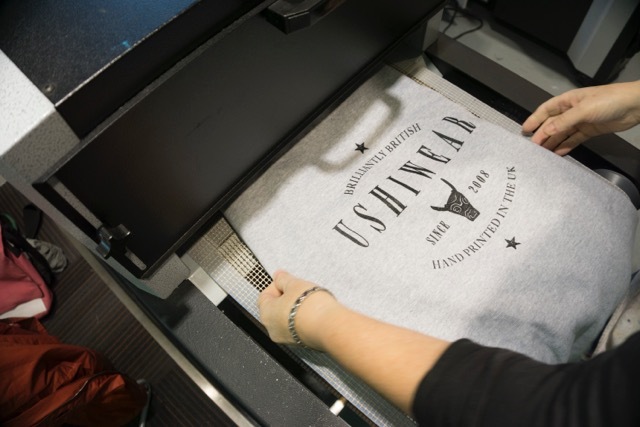 By designing and printing onto clothes it just evolved, I loved designing and wanted to create something which reflective my style and personality and that turned into Ushiwear! I am born and bred in Yorkshire, England. 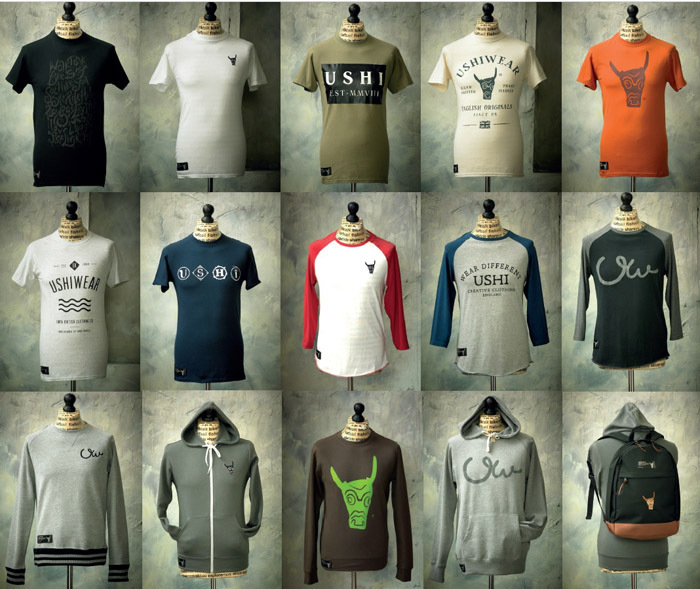 What is the design philosophy of the UshiWear Brand? To create something different to reflect the wearers individuality whilst always keeping the products comfortable and of high quality. How do you feel about trends? Do you go with them or try to create new ones? to create something different that you wouldn’t see everywhere on the high street. Did you study fashion design in school? I did not study fashion at school, Ushiwear is my venture into the fashion design industry however I have had much experience in graphic design and fabric printing. How do you define your sense of fashion? I like to wear things that are different, unique or unusual. I would say that I wear an eclectic mix of clothes from expensive designer brands to clothing that I have sourced from individual bijoux designers to scouring second hand shops. What are you most inspired by and why? Who are some of your favorite designers? Why? One of my favorite designers is Jean Muir her designs are so classic, although different to my style of designing I have always been inspired by her. What is one of your favorite songs on the radio right now and do you design to music? My favourite song at the moment is Freedom by Pharrell Williams. We always have music on in the Ushiwear studio whether it’s the radio or CD’s, it motivates us and makes us happy. What is one thing about you that isn’t widely known? I sometimes doubt myself and my ideas! What has been your greatest challenge thus far with your line and your greatest accomplishment? The greatest challenge has been self funding a business and keeping it going even when times get hard. 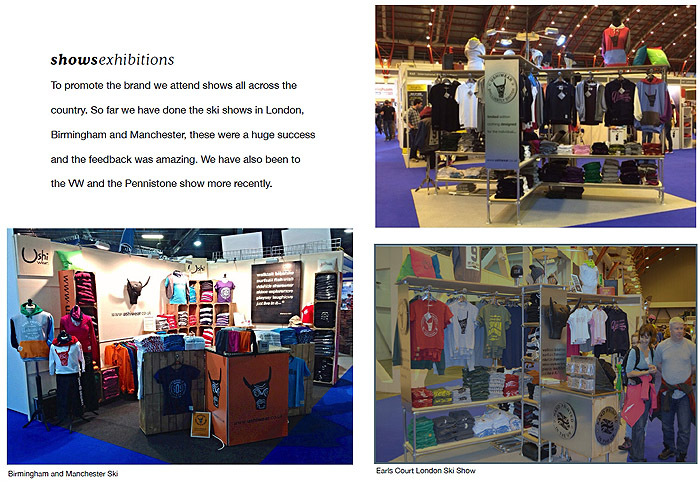 In the same way, my greatest accomplishment has been creating a brand from scratch and I am very proud of what we have achieved so far and we haven’t really got started yet as we have lots of new and exciting things in the pipeline. 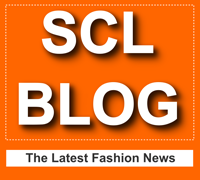 How does it feel to be picked as one of SCL Top 300 Women Owned Fashion Labels Worldwide? What celebrities are active supporters of your clothing line? British band The Vamps and American band The Tide. Also five times Olympic skier Graham Bell and his daughter Lottie Bell. How would you describe your latest collection? Our latest collect included the Christmas Bau-Bull range and our new range of snoods and scarves which are all quirky and fun. We are currently working on the our next collection. What's the best part about what you do? And the worst? The best part is being my own boss and being able to be as creative as I can as well as working with my husband and our wonderful team who make all the hard work worthwhile. The worst part is the long days and late nights that mean I sometimes miss out on family time. What would your advice be to aspiring designers? Go for it, you only have one shot in life. I’m a great believer in having a go no one can knock you if you don’t try and the worst thing would be to feel regret if you never tried. Just that we hope the amazing response we are getting at the moment continues and that we can get our name out there further! How can our readers follow you and your fashion label?